A smart stethoscope that allows patients to measure the first signs of respiratory infection or heart problems at home. This idea enabled the Stethup team to win the START competition at the University of Lausanne in 2017. And what if money no longer existed tomorrow? With one of its tasks being precisely that of issuing money, the Swiss National Bank will soon be putting the new 20 franc note into circulation. But is it appropriate to launch such denominations when fewer and fewer payments are being made in cash? What if growth never returns? When it comes to combating unemployment, politicians presume economic growth is the answer. But herein lies the problem: growth is slow to return, and some economists predict that it will not at all. Is this true? Following years of relocating, some companies are returning to the country. 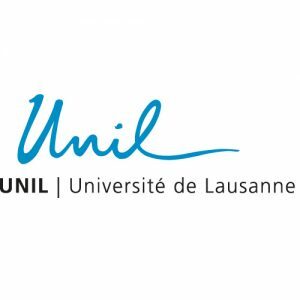 And for good reason: a new tool developed by UNIL proves that migration often costs more than business bosses imagine. Oncologists, psychologists, bus drivers, financial analysts, personal assistants and sales assistants: machines can do all their jobs. How, in the space of twenty years, have machines succeeded in performing so impressively, which jobs are most under threat and are there still fields in which human beings do better? Why do managers make immoral decisions? Company directors, who play with consumers’ lives, are thought to be depraved individuals who lack ethical principles. This is untrue according to professors Guido Palazzo and Ulrich Hoffrage. In reality, the context conditions any move towards such behaviour on the part of leaders who otherwise possess normal moral values.